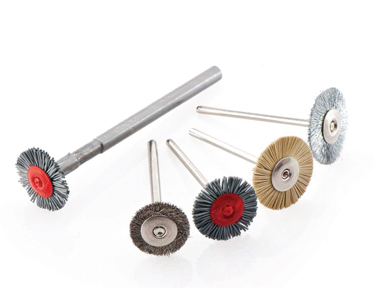 Miniature rotary wire brushes from HK - KOTI machine areas which are impossible to reach using conventional brushes. They are particularly suited to the cleaning, polishing and deburring of small parts, arrow recesses and boreholes. 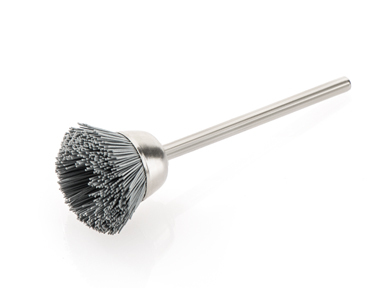 Miniature rotary wire brushes are available in the form of round (from outside diameter 12 mm), cup (from outside diameter 10 mm) and end brushes (from a diameter of 3 mm). 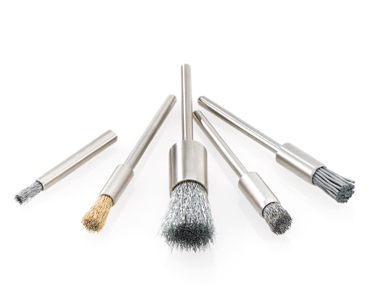 For cleaning, deburring or polishing of small surfaces or small workpieces.